In the Catholic Church Easter Season lasts 50 days. We are currently in the sixth week of Easter and quickly approaching Ascension Sunday. 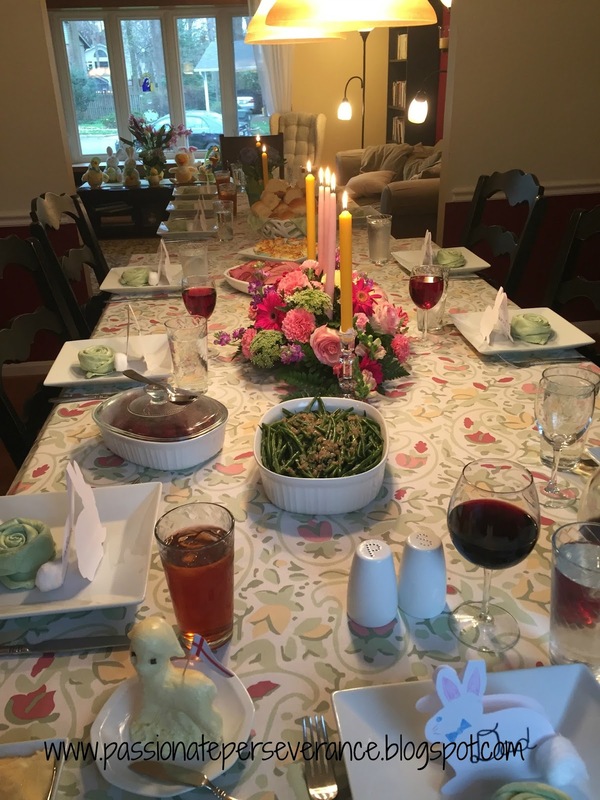 Since this is my first Easter as the Director of Liturgy for my local parish, I thought I would share a few photos from the Triduum as well as a few photos from the fabulous Easter dinner my BFF Christine put together and invited my family and I to join in the festivities. One of my responsibilities is to “decorate” the sanctuary in a way that enhances worship and does not distract. I never want to take away in any way from the beauty and majesty of the Mass. After all the Eucharist is the source and summit of our faith and should remain the central focus of our attention. 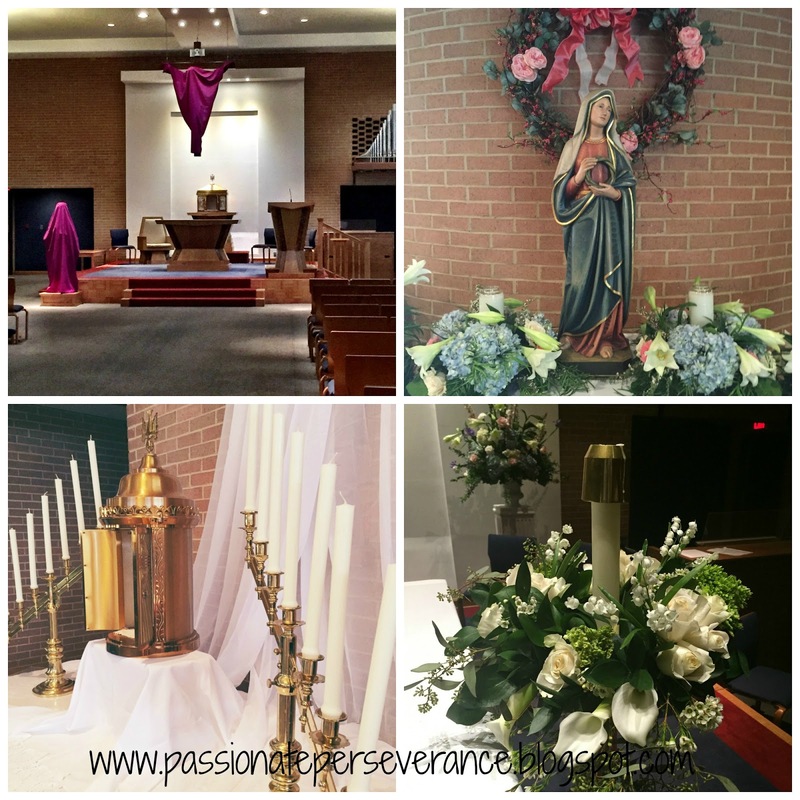 First up we have a little collage of our parish center. We drape our sacred statues for the last two weeks of Lent and leave everything draped until Easter Vigil Mass following the instruction in the Roman Missal (draping is optional but if you do drape, you keep everything up until Easter Vigil). 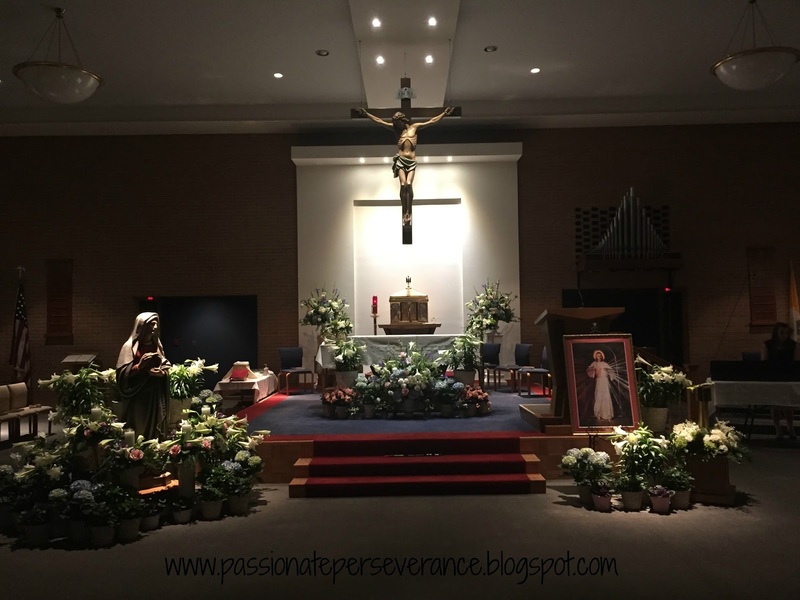 Then we have a few photos of Our Lady of Sorrows statue that is in our vestibule, the flower wreaths that were on the altar, and the beginnings of the Altar of Repose from Holy Thursday. I chose a palette of whites and creams and a hit of purple matched with lush greenery for the altar and then mixed in pinks and blues for the rest of the church. We used both potted plants and arrangements to make it special. After all Easter is the highest solemnity in the church and I wanted to do it justice. The liturgy team spent weeks working on every little detail to make sure that when the Triduum arrived, each liturgy would go smoothly. Praise God it did. my friends. It’s all about the details. Including lining everything up just so. You wouldn’t want Father’s vestments to catch on a flower arrangement as he is incensing the altar now would we? In the end, I learned that teamwork is the only way to make those very challenging days survivable. I learned that if your prayer life isn’t in sync, nothing is. I also learned that sleep is your best friend and when that is lacking, coffee rules!! 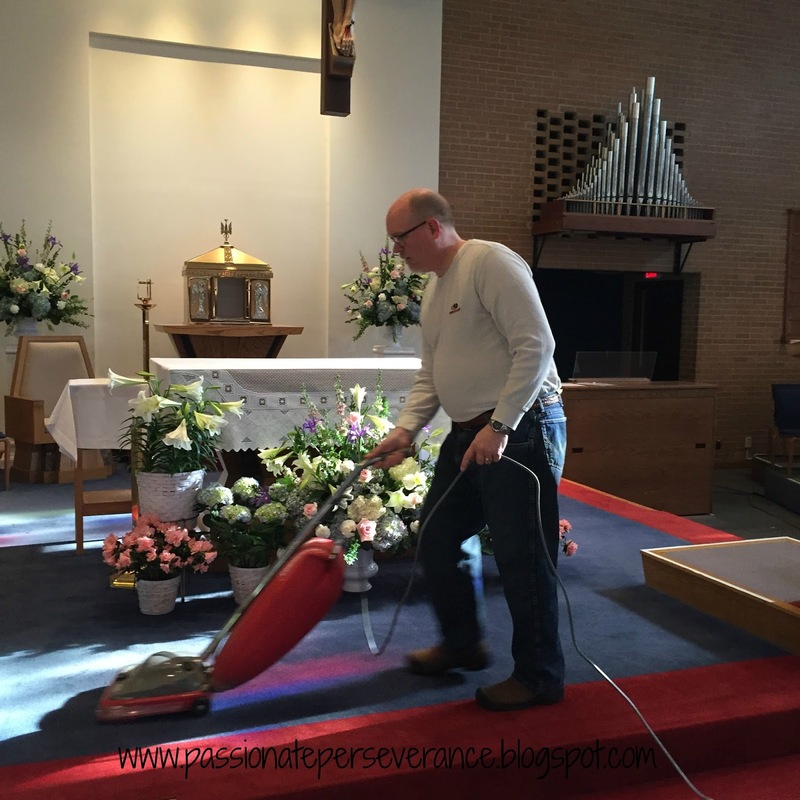 The best lesson though, if your husband offers to vacuum the altar, you say “yes”…and then take a picture as proof. When your BFF wants to feed you and your ham obsessed family, let her. It really was just what my family needed after some seriously intense days. 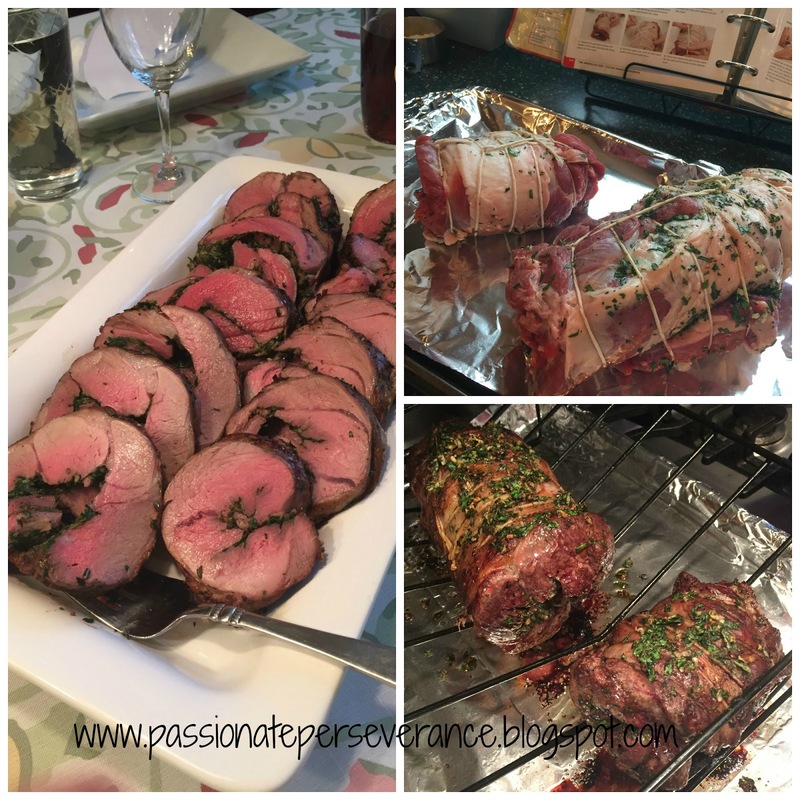 Ham, carrots, homemade rolls, stuffed loin of lamb, horseradish mashed potatoes, garlicky green beans and four insanely awesome desserts made up the menu. It was the company though that made the evening such a pleasure. Our friendship is fifteen years old now and I cherish it, I nurture it and I relish our time together as families and as individuals. As I get older I understand that true friendship is a gift from the Creator and one to be nurtured and cared for. 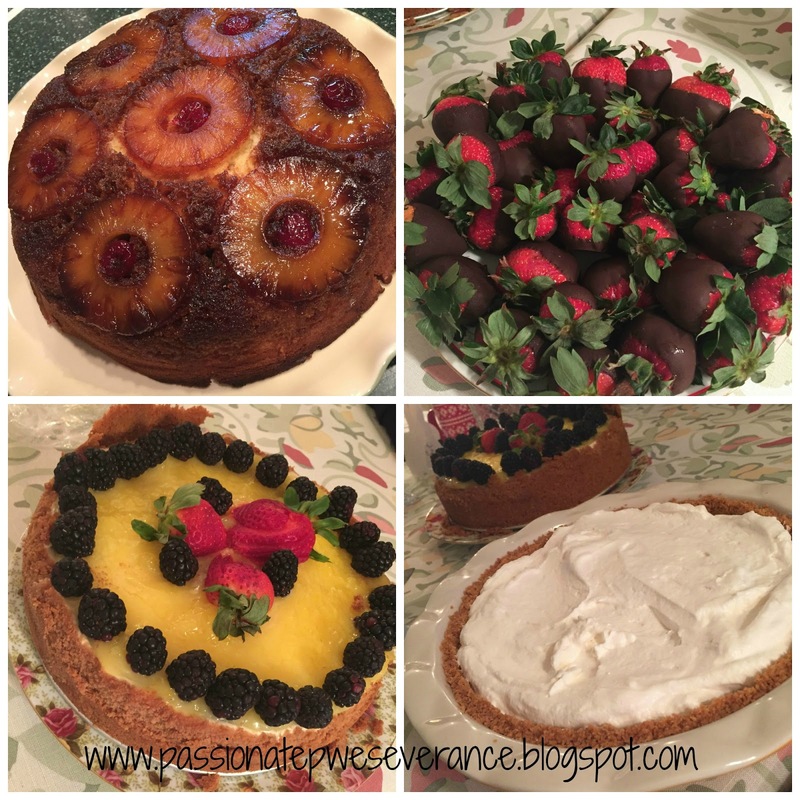 I am so very thankful for Christine (and for Sharon and for Maria). Outside my wonderful husband and my mother, these women pray for me and lift me up when I fall. They surround me with encouragement and love. So there you have it. 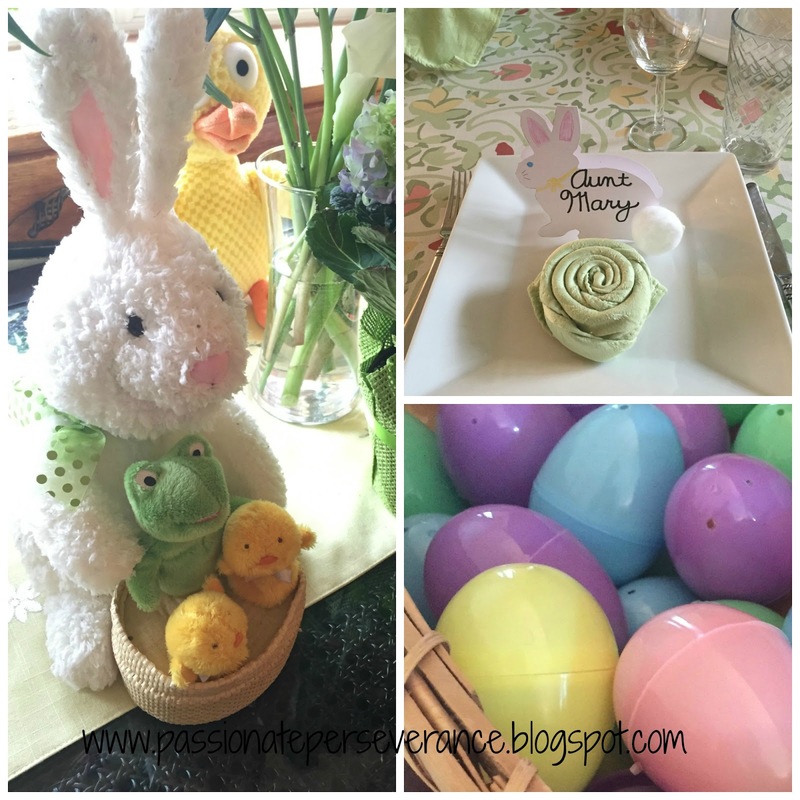 Easter 2016. You did a great job decorating the sanctuary! And I think whenever your BFF asks you for dinner, you should always say yes! That food looks amazing! Jumping over from p,h,f,r link up and enjoyed your post very much. I love seeing the "behind the scenes" sort of work that happens for the beauty of the services. 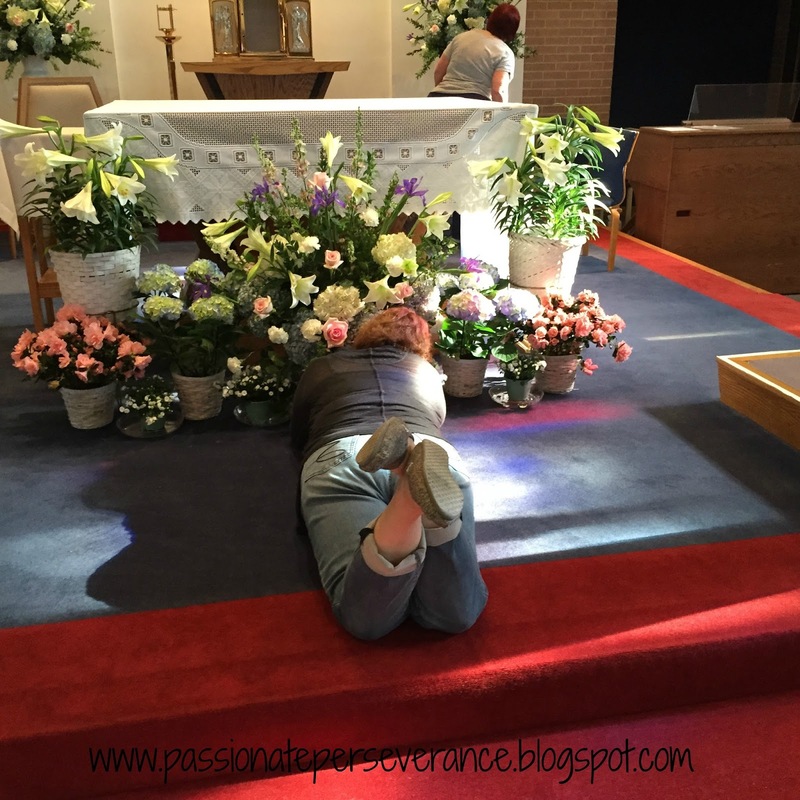 I'm married to an Anglican priest and know how much effort goes on that most people never see. Thank you!